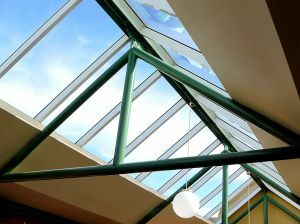 A recent skylight accident in Massachusetts took the life of a woman after she fell nearly five stories through a ceiling window, according to The Boston Globe. After an investigation at the scene, officials have concluded that there was no foul play involved, although they were unable to determine why she was on the roof to begin with. They have also concluded that no drugs or alcohol were involved. “There is no indication of foul play … [and] no indication it was a result of drugs or alcohol,” said Boston Police Department spokesman Officer Eddy Chrispin, according to the Globe story. Our Boston premise liability attorneys understand that building, company, complex and apartment owners are required to keep locations reasonably safe. These individuals are required by federal law to ensure that hazards are removed, safety equipment is provided and that visitors are kept within safe areas. It’s best for building owners and managers to keep visitors off roofs and to keep all fire exits cleared. Emergency responders arrived at the scene of the accident shortly before 9 p.m. after receiving a call from one of the woman’s friends. The friend alerted responders that the woman had fallen through a skylight that was on the seventh story of the building and had landed on the third floor of a dark, walled-off shaft inside a building on Summer Street. Responders had to cut through a number of walls before they were able to locate the woman. The search took about an hour, according to Boston Fire Department spokesman Steve MacDonald. The search took longer than anticipated because officials were directed to the wrong building by the 911 caller. She was pronounced dead at the scene. The owners of the building in the 200 block of Summer Street, New Jersey-based Normandy Real Estate Partners, released a statement saying they were willingly cooperating with the officers’ investigation into the accident, but were unable to comment because the investigation is ongoing. In many cases, when someone is hurt on a property the landowners and owning companies can be held liable for damages caused by the accident if they’ve neglected to safely secure the premise. These accidents can happen in a number of ways, including slip and fall, inadequate maintenance, inadequate security, defective conditions, etc. Premise liability claims can also be filed if an accident occurs while using certain equipment on a property. In this case, a third party can also be reliable for the damages. Regardless, this can be a long and complicated process and is why it is crucial for you to contact an experienced attorney if you feel you have a premise liability claim. A lawyer can help you through every detail of the accident to determine who is responsible for providing you with the compensation you may be entitled to. If you are injured and feel you have a premise liability claim in Massachusetts, contact Boston Injury Lawyer Jeffrey S. Glassman for a free and confidential appointment to discuss your rights. Call 877-617-5333.